A complex of 3 independent luxurious, tranquil, privately-owned villas, with a breathtaking sea and sunset view. 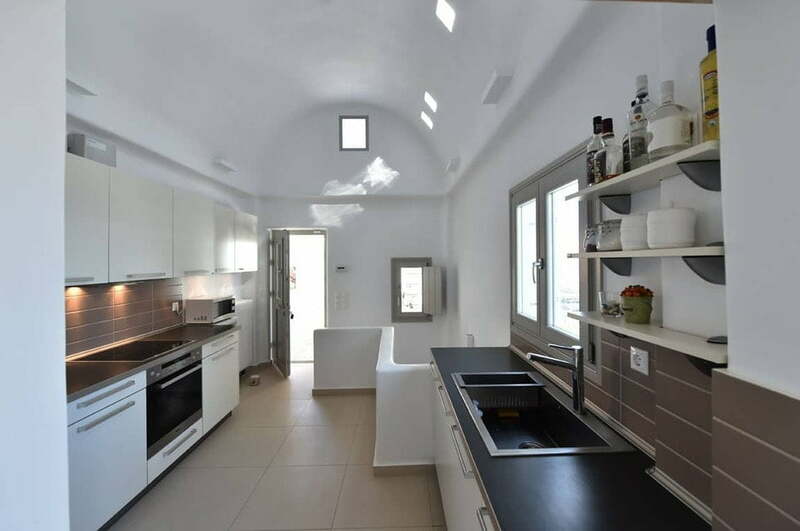 The complex consists of 3 Villas built in a straight line facing the sunset, on a plot of land of 7280sqm, with a common swimming pool, in Kantinelies cliff, 2,5km only from the village of Naoussa, Paros. All bathrooms are made with traditional plaster, and appliances from top Italian Firms. The window frames are wooden, double glazed, with inclination capability. The Houses is fully furnished with top quality local and international brands including Miele Kitchen Furniture and all Miele appliances (dish washing machine, Oven, Cook plates, Aspirator). All furniture is brand new. The Houses have central heating with Diesel, hot water boiler (diesel / electric) and central Satellite system. Gardens are superb, with automatic irrigation system . Also there are 6 parking spots available. Swimming pool (70sqm) is commonly shared by the 3 villas, has a 75sqm pergola, sunbeds and full seating furniture. Moreover there is a huge BBQ and shower facility. The entrance of the property has a hydraulic telecontrolled door. The complex features a private helipad for 2 helicopters, Eurocopter EC120 or equivalent.